Repairing your driveway is not only important because it will make it last longer before it needs to be replaced, it’s also important for the integrity of your home’s curb appeal. To help you with this process, it is better if you can become more familiar with the different options you have so that we can collectively make sure that you don’t end up paying more than you have to when you talk to concrete driveway repair services near you. By being better informed about your different options, you will not only earn the respect of the contractor but also be able to pay less in the long run, and it will ensure that you are making a more informed decision too, so that you don’t have any regrets at the end of the day. The most common types of repairs are listed below, as well as a little bit of information about each specific type. For you to choose the best one, you obviously need to know your options as well as talk to the concrete driveway repair contractors to hear what they have to say. This is the simplest type of repair job you can do, and therefore also the cheapest. If you just have some cracks, this is what you’ll need to contractor to do for you. What needs to be done first, is that the area with the cracks needs to be prepared and cleaned, which ensures that the material you use, the filler, is going to stick better to the concrete. The contractor will use a chisel to get rid of the surrounding parts of the crack and to smoothen it out too, after which the loose parts need to be removed. If you don’t clean and “key”, which is what it’s called, the area very well, the filler will not work well. Afterwards, the filler is added to the crack, and gets time to sink into the crack before another layer is added until no more fits in the crack. A trowel is then used to make sure the surface is nice and smooth afterwards. This is a method that works when you only have a couple of small, insignificant cracks to make sure that they don’t get more serious. The amount of filler obviously depends on the severity of the cracks, but it’s the cheapest option to go with, if the condition of your driveway allows it. Have the cracks repaired so that they won’t further develop and cause damage to your driveway. The advantage of this approach is that you won’t have to worry about the parts that were not affected, which is the majority of the driveway. If you still have a solid foundation for your driveway, but you haven’t continuously had cracks repaired as they started appearing, this may be what you are in the market for. You’re in a situation where it no longer makes sense to individually repair the cracks that are there. The contractor starts off by removing the top layer, or surface of your driveway. Again, like with patching, it is important that what is left is nicely prepared and cleaned so that the foundation is ready for a new layer of concrete which is then added on top of it. With this method, there’s not just more material being used, but it also takes longer to remove the upper layer too. It is still done when resurfacing makes more sense than repairing the individual cracks one by one. Ask your contractor how much it will cost to resurface the concrete driveway relative to simply fixing the cracks. This will need to be done, when the condition of the driveway is really bad, and that it’s even so bad that the foundation has been affected by the neglect also. This is done when resurfacing simply isn’t enough, and the pros will not just have to remove the top layer, but rather remove the whole thing. As you can imagine, patching simply required filling the few cracks that exist, resurfacing included removing the top layer, and replacing it means you need to replace the whole thing, replacing it will naturally be the more expensive option of the three. This also means more labor is needed to remove it, install a new one, and the machinery that is brought in for this type of job is also more extensive. When you remove an entire driveway, you can also imagine that the things that have been removed need to be transported to a dump site where it can be properly disposed of, and this takes time too. If a contractor suggests this, try asking if it isn’t possible to simply resurface it instead and see if they seem to think it can be done at all. It is also something that you can do if you simply want a beautiful new driveway in your home, and the cost of the project is less of an issue. Which Method is Necessary in Your Case? When you have to decide between the 3 options we talked about above, you need to know that there are different factors that will play in to determine what is needed in your case. Before making the decision, there should be a thorough inspection of the driveway. It does not make sense to replace the driveway if all that is wrong with it are some small cracks. You and the contractor will evaluate what the condition of the cracks are, how many there are, how deep they are etc to be able to choose what the right approach is. Use these guidelines so you can better figure out what is needed. Minor cracks or holes will mean that it just needs to be patched by the pros, and if it’s more than just a few cracks, resurfacing should get the job done. There are also times in between when you need to make a decision if you want to make patches, that will do what they’re meant to, but there are simply so many cracks, that it simply won’t look nice anymore. A driveway that is being patched up, while its condition actually calls for a resurfacing or replacement will only delay the decision to replace it. Patching it can put off the decision for a few years, but then you will need to get it done afterwards at anyway. That is why it might not make sense to do a big patching job, if it’s just take a few years before you’d need to replace it either way. If your driveway is old, it may be time that you need to think about either resurfacing or replacing it entirely. While concrete ones can last more than 40 years, and asphalt ones lasting more than 20, it’d give you an impression of how long you might expect it to last, if it is maintained properly. If we’re coming up on it being around 40 years since it was installed, maybe now is just the time to bite the bullet and resurface it, assuming the foundation is still in good condition. Again, your best chance is to ask the pro and hear what he has to say. If you’re not really operating with a budget, and you just most of all want your driveway to look beautiful but there are no major flaws, resurfacing can be worth it. If you’re on a budget, you’ll probably want to see if patching it is enough. We keep mentioning it, but there are time when a resurfacing simply isn’t enough because of the state of the foundation. It’s an important structural component, and if you resurface something without the proper support from the foundation, the result won’t be good for long. Patching or resurfacing does not fix a foundation that is giving up. Have the pro evaluate the situation before making a decision. 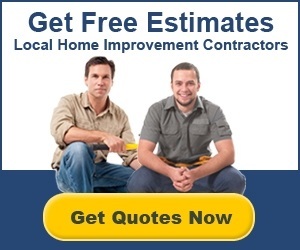 The easiest way to get started with your project is by using our form to receive free, no-obligation quotes from up to 4 local and screened contractors. All you need to do is fill out the form at the top of the page with the condition of your driveway and wait for the contractors to reach out to you. It’s a free service, so you have nothing to lose from using it.